The August bank holiday weekend has passed and the last minute rush to get kids suited and booted for the new school year is on – Yes, it’s back to school time! 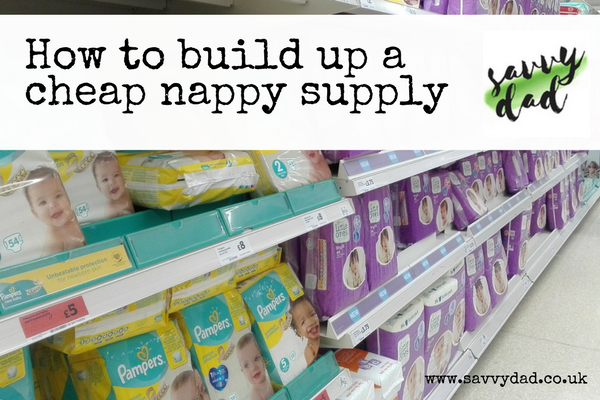 We’ve already sourced most items in our household for Little Savvy who is due to start school this September. 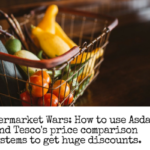 But , it got me wondering what last minute options were available for kitting out your kids for school on a budget other than the main supermarkets. 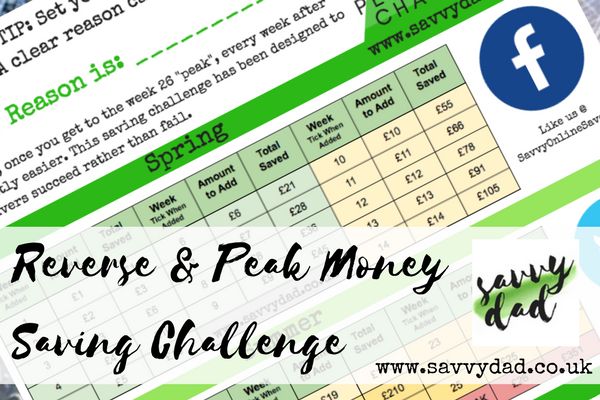 I was also keen to make sure that as the new school year begins, any expensive summer holiday habits are left firmly behind. 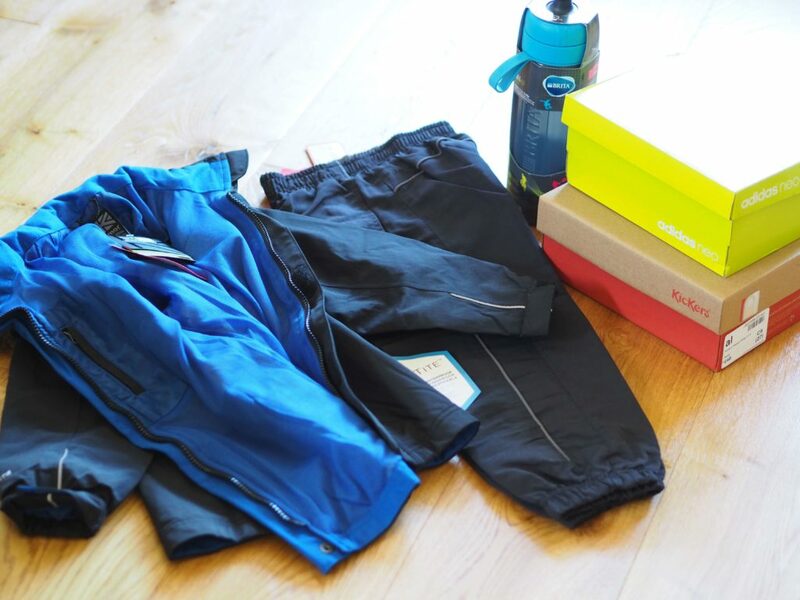 Being Little Savvy’s first academic year, he was exited about getting himself sorted so when Sport direct gave us the opportunity to try out some of their branded items available at budget prices we jumped at it. We had informs sorted, but for PE kits, shoes, trainers, backpack, water bottles and coats we were still open to ideas. Great value back to school bundle from SportsDirect, ready to trying on in the run up to the start of the September Term. 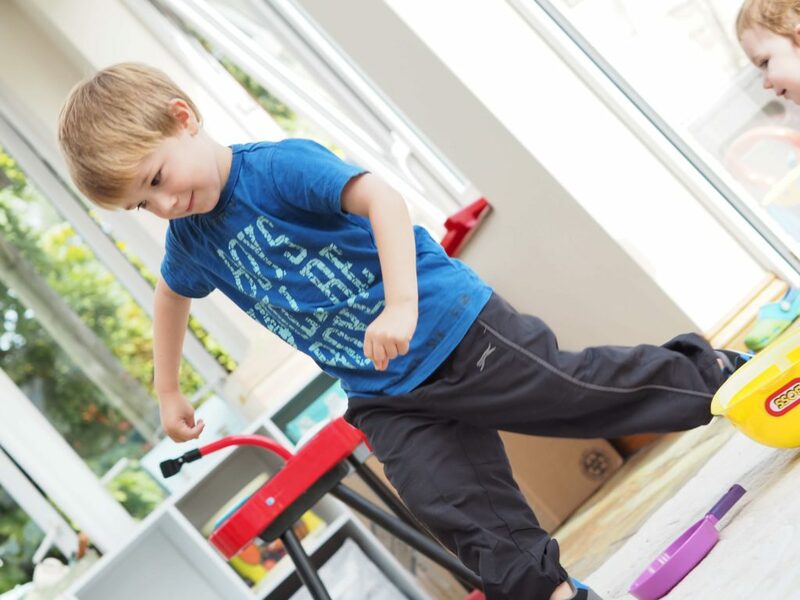 We chose some functional but, rugged Kickers branded school shoes. Sizes were easy to chose from on the Sports Direct website and included both UK and EU sizing. 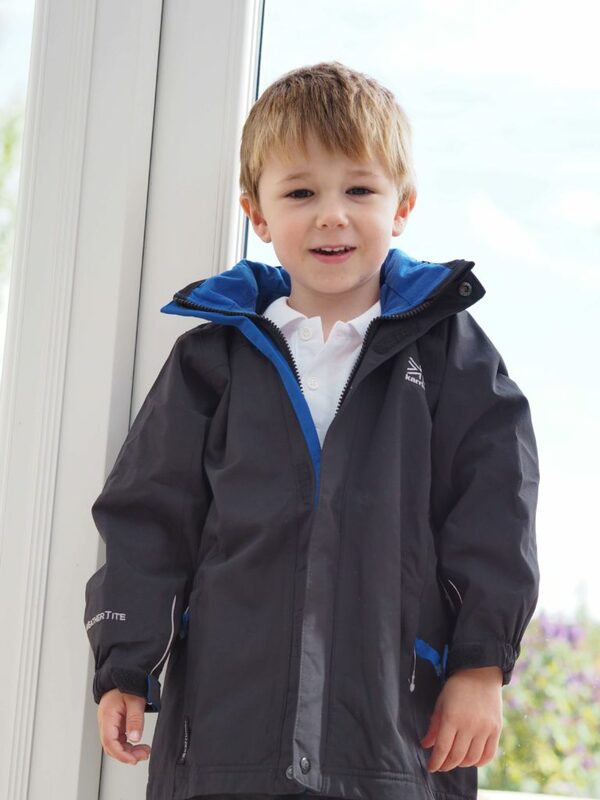 Next up, we wanted a warm but lightweight waterproof coat for the Autumn term and the British weather. Amongst the options was the perfect Karrimor Urban lightweight to suit our needs, again at a reasonable discount on the RRP. 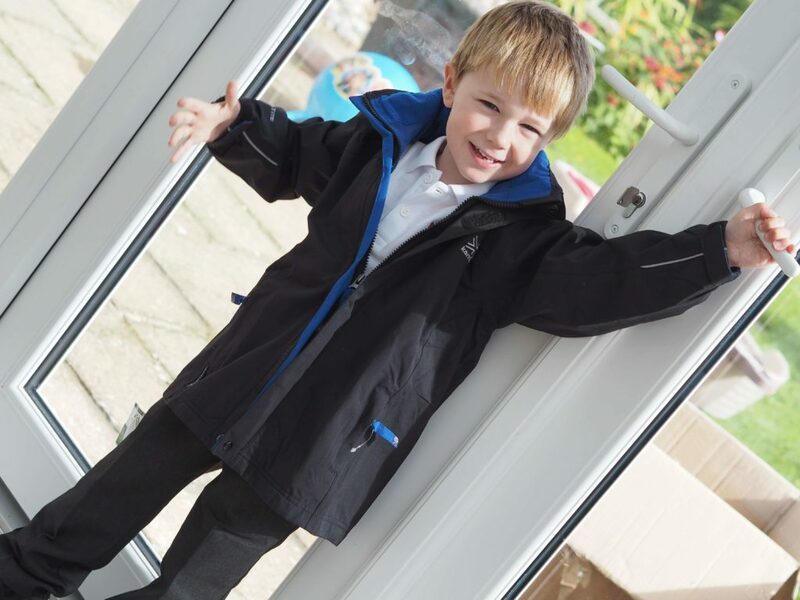 The perfect lightweight waterproof for school at the perfect discount price. The obligatory velcro PE trainers were added to the the back to school kit, in this case a lovely pair of Adidas Nubuck Joggers. These where easy to fit and remove and proved a great value hit at just £24! We were extremely surprised by the range of drinking water bottles available from Sport Direct. We opted for a snazzy Brita Active Water bottle complete with built in filters. Sport kits was added to via the best value item we got, £6 Slazenger Closed Hem tracksuit bottoms. Also available as 2 for £9! These were perfect for our Little Savvy as he’s slim in waist and leg, so they fitted amazingly around the ankle. 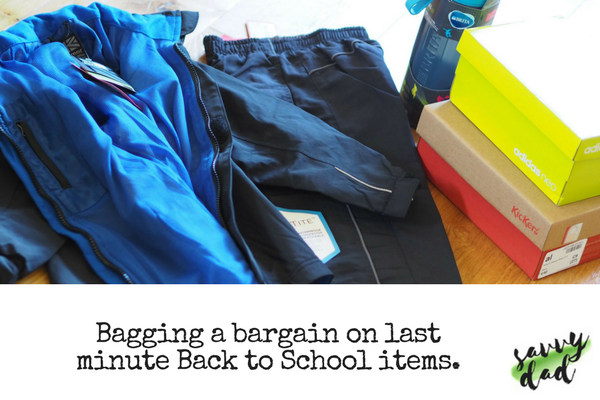 Pack those School Bags – Back to School discount conclusions. All in all, we’re certainly glad we discovered Sports Direct’s back to school options. We’ve using brands and items we’d usually overlook in favour of others. The items we got were high quality, seem very durable and above all reasonable prices all round. If you’re on the hunt for a few missing school items, Sports Direct is certainly worth a try. 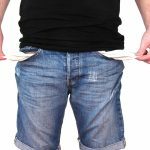 Is online poker a viable source of income? 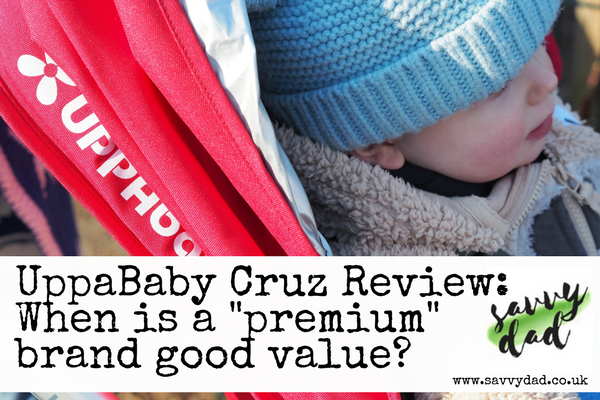 UppaBaby Cruz Review: Does a “Premium” brand sometimes mean good value? Copyright 2018 Savvy Dad. All Rights Reserved.